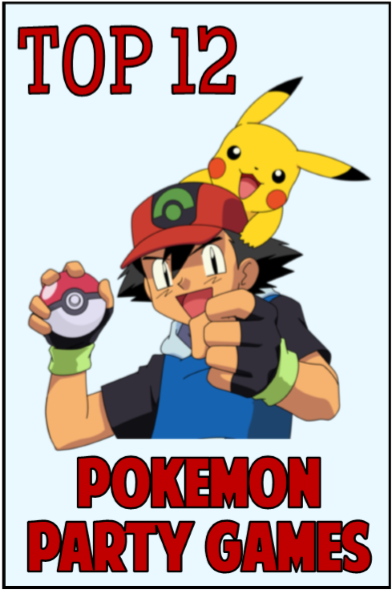 For over twenty years, kids all around the globe have been on the journey to becoming Pokemon masters; whether through their handheld game, trading cards, or simply a love of the animated adventures of Pikachu and Ash - and now with Pokemon GO becoming a world craze- thousands of people have been added to their fan list. But all these kids share one wish in common: if only the Pokemon world could be real! 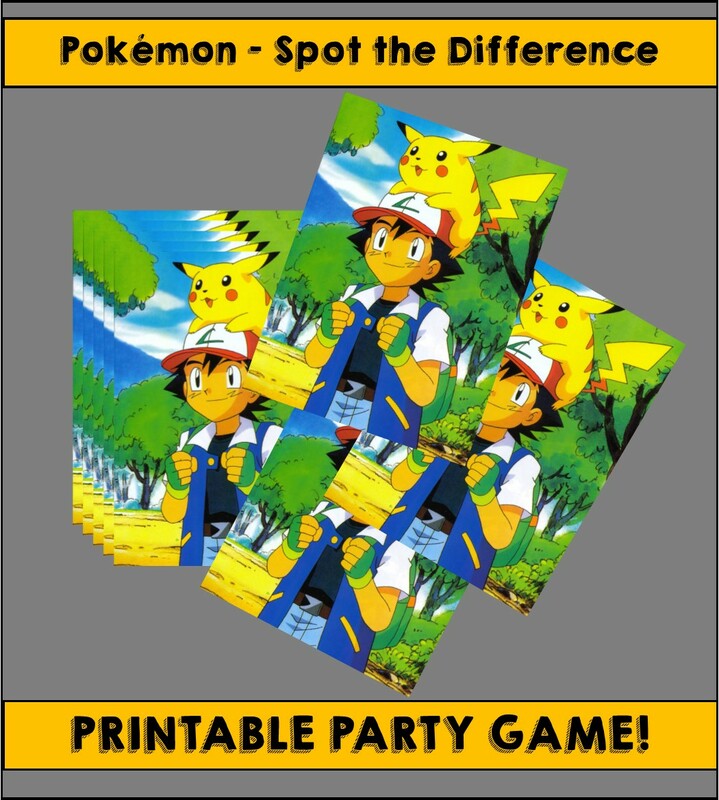 Well, with these fun and simple party games, you can take a little slice of that world and bring it into reality, challenging the party-going Pokemon trainers to test their skills, creativity, and knowledge while collecting fun prizes and homemade badges! Players divide into teams of two and compete to see who can collect the most pokeballs. 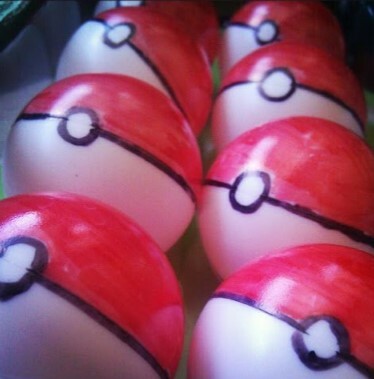 First you will need to create a couple a dozen pokeballs. You will do this using ping pong balls and a red and black markers. Give one player from each team a spoon and the other a baseball cap. Sit the players from each team across from each other - spoons on one side, caps on the other. Place a bowl with all the pokeballs on the side of the players with spoons. On the start of Go, the players with plastic spoons take a pokeball and use the spoon to try and launch as many pokeballs into their teammates cap. After a minute whichever team has the most pokeballs in their cap wins! Play multiple times or have a tournament. Take pokemon colored balloons i.e. red, white, blue, orange, and yellow. put one pokemon tattoo in each of them. Inflate and spread them in the play are. Ask the kids to stomp the balloons with their feet. Whoever stomps the maximum number of balloons and collects the maximum number of tattoos, wins. You don’t need any other gift for this game. The tattoos will be an incentive enough. This variation of the classic guessing game Charades is sure to entertain and reward creativity and acting skills, and all you need is a few booster packs of Pokemon trading cards! Starting with the trainer whose birthday it is, open a booster pack and fan out the cards for them to pick one with their eyes closed, saying "I choose you!" Then looking at the card, they must convey what Pokemon they've chosen to the other children without saying a word. Whoever guesses correctly wins a point and chooses the next card, until you've run out of trading cards to give out. The winner gets a full booster pack to open, then let the kids have fun trading cards together! Our signature trivia treasure hunts involve clues, puzzles, trivia, and games that players must solve in order to get to the next clue. Our Pokemon hunt features 16 eye-catching clues that guaranteed to be a party hit. One of the most attractive things about our hunts is that YOU get to decide the hiding locations - this enables you to play this treasure hunt ANYWHERE! This hunt is available for instant download. CLick on pic for clue samples and download instructions. 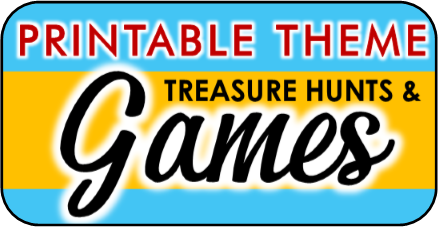 OR if you are looking for a Pokemon game that players who aren't as familiar with the show then our exclusive Pokemon Treasure Hunt - this one doesn't include any trivia so even players who have never seen the show can play. 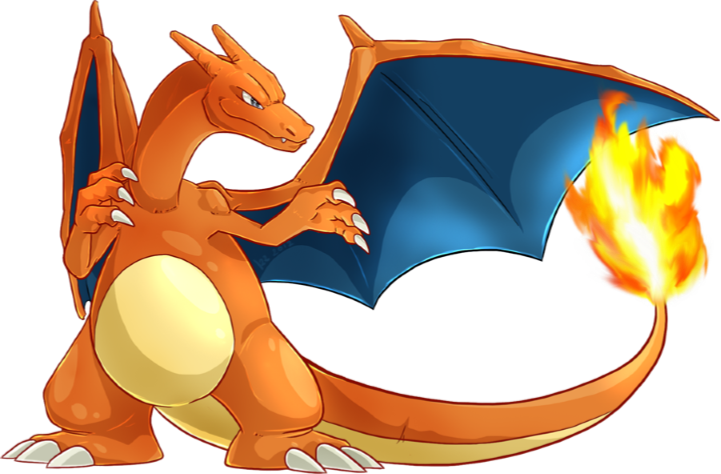 This is another classic party game with a fiery twist; one of the original, most popular Pokemon needs his tail flame back! Every trainer knows that this fire Pokemon loses all of its power when its flame goes out, so there's extra motivation to be blindfolded and spun around. Extra points if they land a second flame near his face, letting him use his incredible Flamethrower attack! To make it a battle, have another trainer try to pin the flame on an Infernape, and whoever's tail and flamethrower are both ignited first wins the battle. 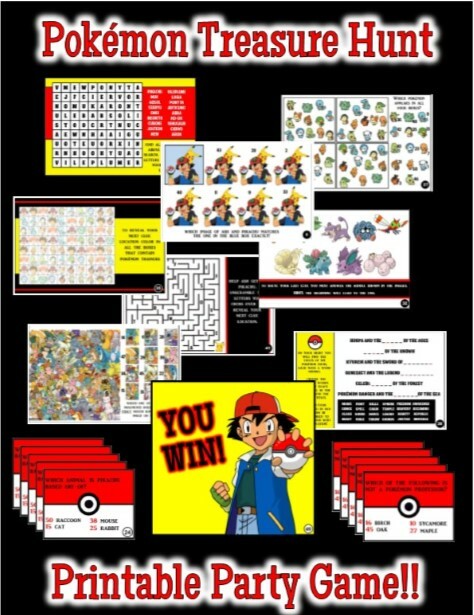 In this printable game players are presented with one image of Ash and Pikachu to study. This image can be displayed through-out the entire game to compare the other images to. The other 12 images are presented to the players - all of them are the exact same except for one difference. The first player to spot the difference for each picture wins a small prize such as a sticker or a piece of candy. This game is available for INSTANT DOWNLOAD for $3.99. You simply print and play! Yes, just regular old musical chairs; however, this one is especially fun with the Pokemon Soundtrack! Play the game as you normally would, but every time a kid is eliminated, they get to pick the next song that's played. It gets faster every time, and especially clever trainers will use their knowledge of the soundtrack to pick more frantic songs, like the villain themes or Pokemon League music! Simon says is an easy game to set up and to understand, and it can be a great way to calm down a rowdy bunch of Youngster trainers. 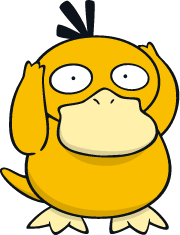 Psyduck is always holding his head in his hands due to his psychic powers giving him a nasty headache, so hold your head tightly and maybe talk with a silly, nasally voice like Psyduck does. The kids will work together to cure his headache by doing what Psyduck says (throw a Pokeball, act like a Chimchar, sleep like a Snorlax, etc). Play this game in the backyard, setting up a few water-type Pokemon as targets, using rarer fully-evolved Pokemon for the more difficult targets. Hand out water balloons as Poke-balls and challenge each trainer to 'catch' as many as they can! For summer fun, separate them into two teams, each choosing a water type Pokemon as their name. Then have them play dodge-ball, calling out their 'attacks' and trying to avoid getting splashed! 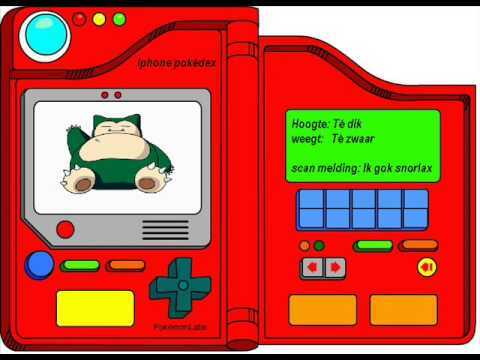 New Pokemon are always being discovered around the world, and many have yet to be recorded in the Pokedex! Using whatever arts and crafts supplies they prefer, let each trainer 'discover' their own unique Pokemon to take home with them by drawing, sculpting, or even making a collage of their own creation! Have them write their own Pokedex entry about its name, type, and special abilities; then let these bonafide Pokemon Professors compare their findings. When two trainers' eyes meet, a Pokemon battle must begin! Each trainer must try their best to reach a Pokemon Center at the end of an obstacle course, including limbo, hurdles, and targets to hit with a squirt gun. Between each obstacle, another trainer will challenge you to a Pokemon Battle, forcing you to complete a quiz about their favorite Pokemon before moving on. Whoever completes the course the fastest wins a prize! This game requires at least four parents to choose their own challenges to present to the kids near the end of the party, including their own personal touch. 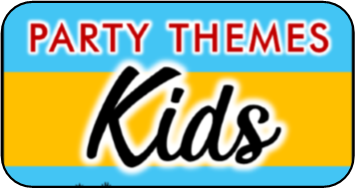 The kids will all work together as a team to find clues for a scavenger hunt, find the answers to a tough Pokemon quiz, win a game of Pokemon TCG, or whatever each parent prefers. When all four adults have been defeated by the partygoers, they can be declared Pokemon Champions and given personalized certificates (or even custom cards with their faces on them!). After all, becoming the Champion is all about teamwork!